Kiefer Ravena had a strong PCBL debut, as his team, Mighty Sports, completed an upset of last conference’s champions Jumbo Plastic, 79-70, in the opening game of the 2016 PCBL Chairman’s Cup. Jumbo Plastic led by as much as 14 points, but a furious 28-8 fourth quarter lifted Mighty Sports to the win. Two-time UAAP MVP Kiefer Ravena finished with 16 points in as many attempts in his post-Ateneo basketball debut. He also registered five assists and three steals in nearly 37 minutes of action. UPHSD foreign center Bright Akhuetie top-scored for Mighty Sports with 21 points, built largely on an 11-of-16 free throw clip, and added 18 boards, three steals and two blocks. Former Arellano Chief Adrian Celada scored 15, all on three-pointers, while Gab Banal amassed 12 points, eight boards and five dimes. 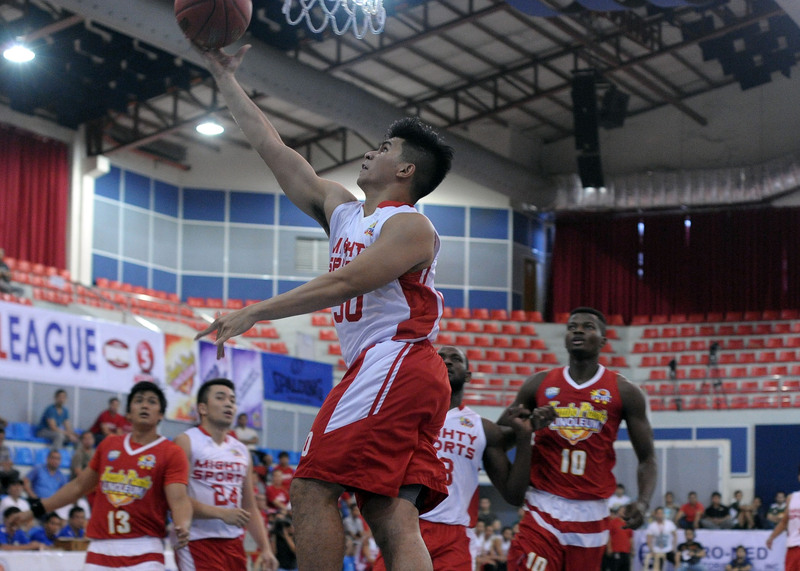 Jumbo Plastic was led by the 19-point games of James Martinez and Jeff Viernes. Jay-R Taganas added a 9-9 outing, while NCAA Rookie-MVP Allwell Oraeme of the Mapua Cardinals had a sub-par outing of just six points, 11 boards, five turnovers. In the second game of the tournament opener, Sta. Lucia edged Euro-Med 66-64. Former San Beda center Ola Adeogun tied things up for Euro-Med at 62-all with 1:07 left, but the active defense of Sta. Lucia players Jhaps Bautista and Kent Salado forced three steals in the final minute to take this game. Jun Gabriel top-scored with 14 points for Sta. Lucia, while former Gilas swingman JR Cawaling chimed in with 10. Jopher Custodio and Adeogun led Euro-Med with 15 points apiece.